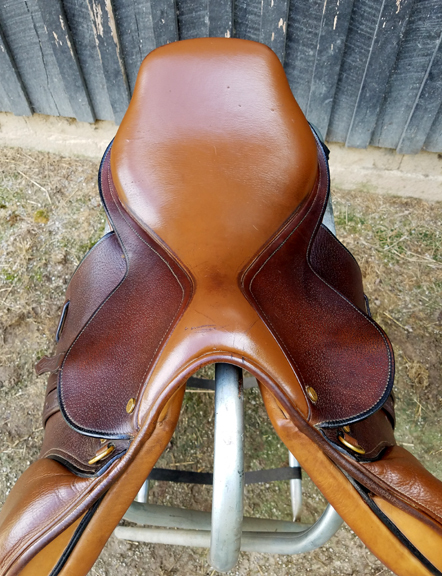 Collegiate Close Contact 17 inch saddle. 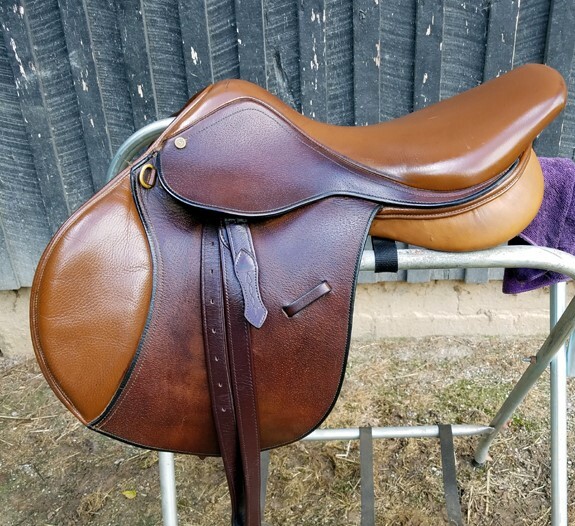 This is a great show saddle for the person starting out that still wants a quality saddle. Purchased new from Schneider's and used for showing only, stored inside in padded bag. Standard tree. Padded knee rolls. 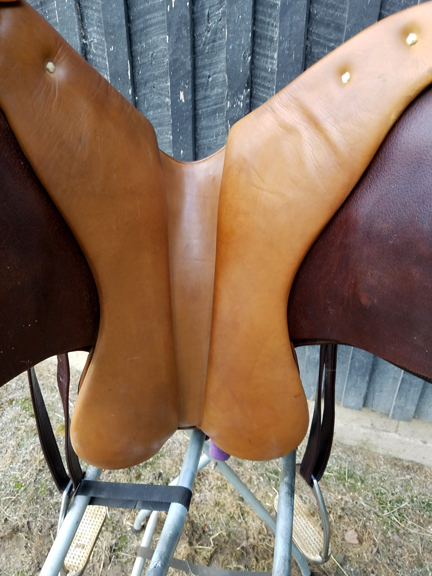 Very comfortable saddle. Won many blues in Hunter at the A Rated shows. 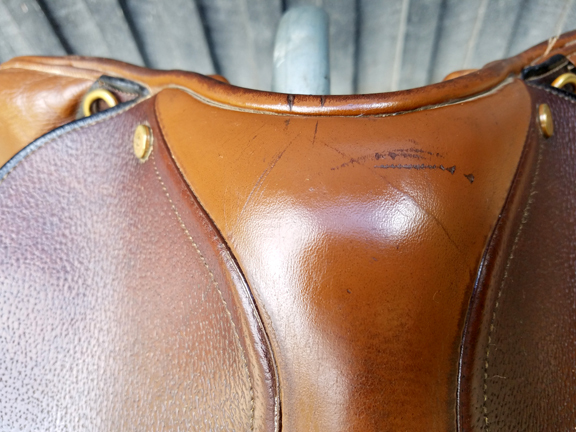 Does have a few wear marks, but leather is still in great shape and this saddle will last for many more years. Comes with stainless stirrups and non stretch leathers. Will also include the padded bag and used schooling pad if desired.